An Australian-Greek born in Cairo, Egypt, Kathy Giske began her career in trade relations serving with the Australian Embassy in Athens. 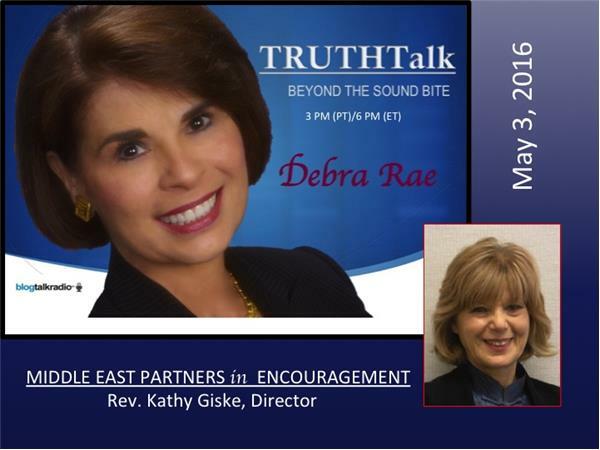 Having worked as program director & interpreter for Billy Graham teams, added to a number of high profile ministries, Kathy now fosters church partnerships, strategically connecting resources to opportunities. A missions specialist & leadership trainer, she actively builds bridges with colleagues throughout the Middle East and with local Muslim communities in the Pacific Northwest. Biblically, the harvest is plentiful, but the workers are few. 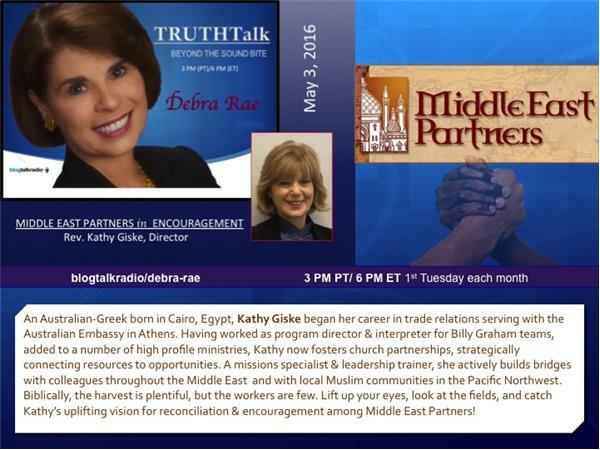 We invite you to lift up your eyes, look at the fields, and catch Kathy’s uplifting vision for reconciliation & encouragement among Middle East Partners!